We are unable to sell ferry tickets for trips departing April to October 15th each year. If you need book a ferry between April to October 15 please see the transport options available at 12go.asia. If you are looking to book ferry tickets for trips from October 16th onwards, please use the form to make your booking. 1. Tiger Travel Co. reserves the right to refuse a refund in any circumstances. 2. 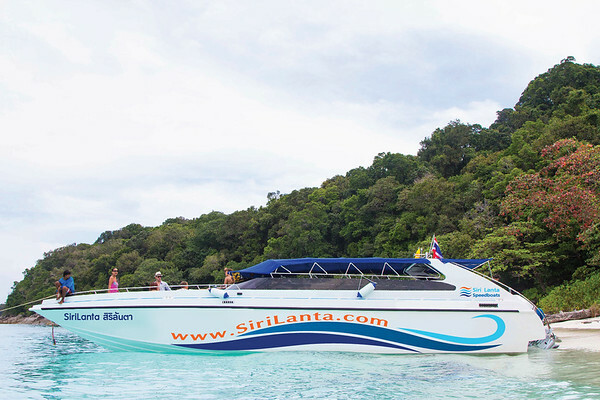 All fares are exclusive of a 50 Baht longtail boat transfer fee between the ferry and the islands of Koh Muk, Koh Ngai, Koh Kradan and Koh Lipe. This is because there is no pier on these islands, so the ferry cannot dock. 3. Passenger with reservations must arrive 45 minutes prior to scheduled departure. 4. All passengers, vehicles and baggage are subject to search for security purposes. 5. For all passengers, photo identification is required to check-in (e.g. Passport, ID card or Driver License). 6. AmazingLanta.com shall not be responsible for and shall be exempt from all liabilities in respect of loss damage, injury, accident, delay or any inconvenience to any person or his/her baggage or any personal property, whether in respect of the ferry to and from the Island or in respect of any occurrence results from the negligence of Tiger Travel Co. or any other person directly or indirectly in the employment or service of Tiger Travel Co. or otherwise, under any circumstances whatsoever.